Having lived my whole life in North London, I loved moving to the complete opposite side of town – New Cross. It gave me an excuse to finally find some South East London hot spots! 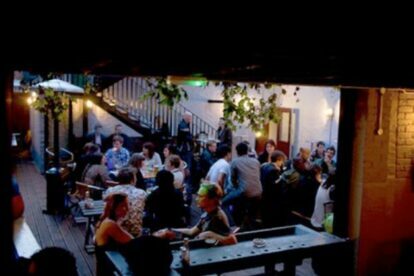 With a largely art student crowd in the local bars and pubs due to the nearby Goldsmiths university, New Cross house sets itself apart as a more mature watering hole. The pub was renovated about 3 years ago and is lovely inside with everything you expect from a gastro style pub. High ceilings, comfy booths and tasteful décor. There is even a tatty old piano in the corner for a good old-fashioned knees up! The garden out back has lots of seating and even a two floor barn style area to sit out in if the weather is nice enough. The pizzas served here are delicious! Being cooked in a huge wood stone oven means they’re never too soggy or too crispy and there are some interesting toppings like the smoked pork belly to get your teeth into.